Altamura flat slip-on loafer as a chic daytime shoe. 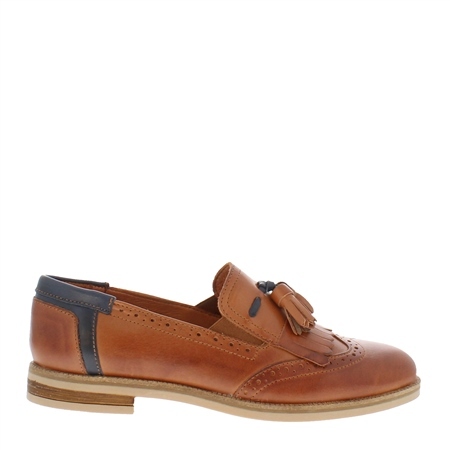 This preppy silhouette is complete with eye catching tassel detail on the upper and contrasting navy panel. Finished on a modern low-block heel. Perfect for wearing to work during the warmer months.